The Icon iKeyboard 8X has all the controls you need right at your fingertips. 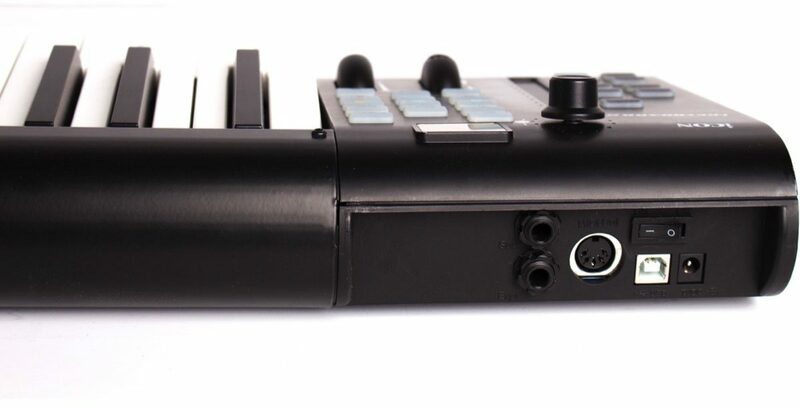 The controller section features a touch fader with LED feedback to control and automate levels and other parameters, plus mute, solo, and rec buttons, with track and bank selection. The Backlit LED touch fader reacts in real-time with your DAW. It will synchronize automatically with different channel values when switching between channels. A full transport is provided for playback, recording, looping, and changing automation modes. The large rotary encoder with LED ring can be used for panning, setting send levels, controlling plugin parameters, and more. The iKeyboard 8X comes bundled with Cubase LE and includes factory presets for most popular DAW’s including Cubase, Nuendo, Logic Pro, Pro Tools, Ableton Live, Samplitude and Studio One. Every control on the iKeyboard 8X can be custom-mapped to any MIDI application using the included iMap software. 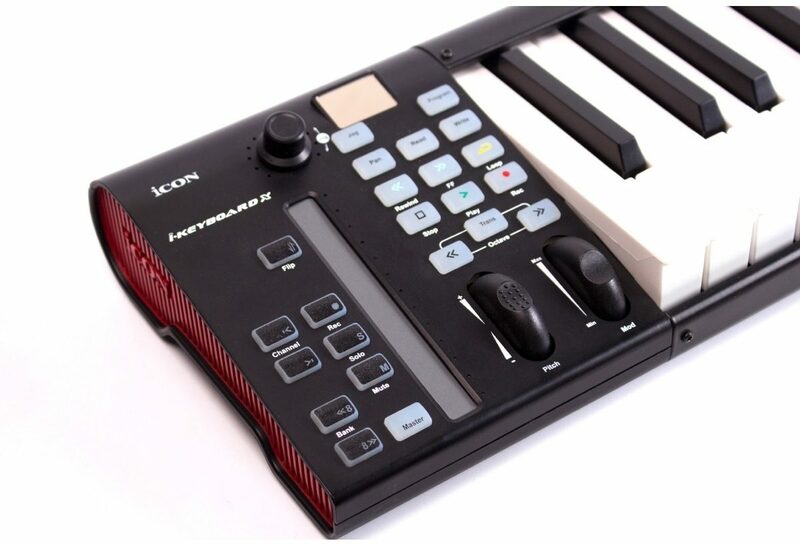 The iKeyboard 8X uses Mackie Control and HUI protocols for presets and automatic mapping, and can be configured for general MIDI values as well. - 11-segment LED surrounding the encoder to indicate the rotating position. 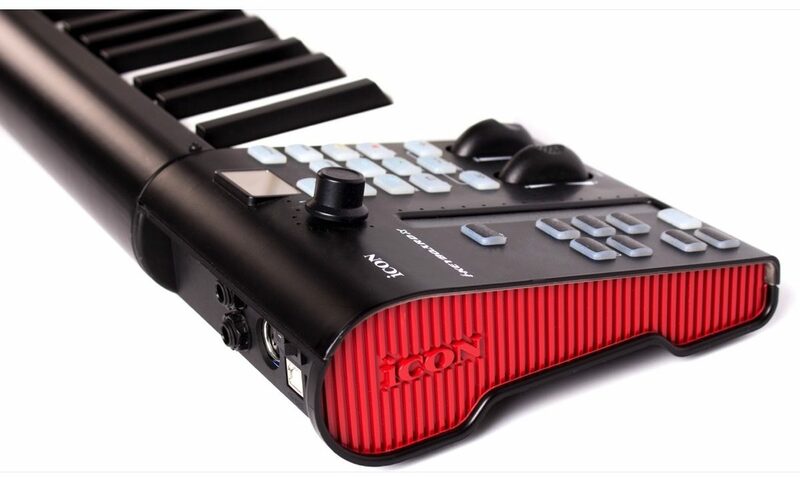 zZounds is an authorized dealer of Icon products.